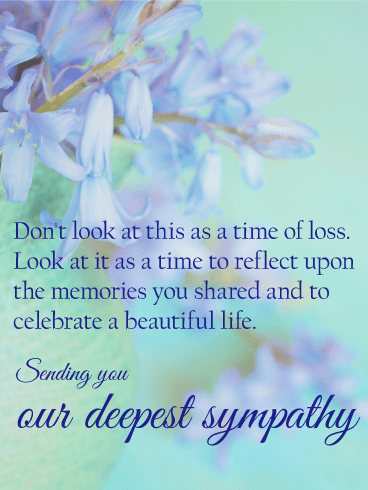 When a loved one passes away, it's not unusual for someone to feel lost and and alone. At this time, it's so important to lift their spirits by reminding them that as long as they have people around them who care, they will never be alone. 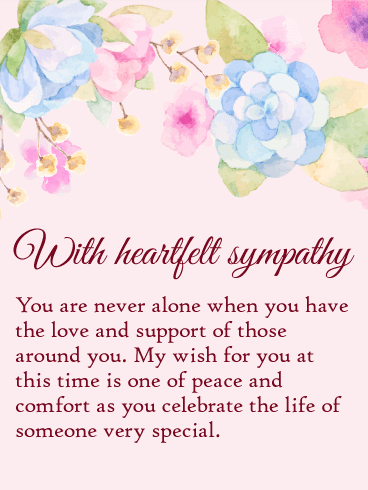 Such a warm and comforting sentiment is beautifully conveyed in this sympathy card, which lets your offer your deepest condolences while providing a sense of peace and hope in the days, weeks and months ahead. 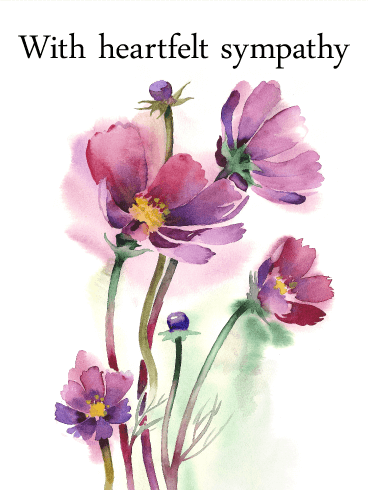 This uplifting card offers a soothing watercolor background and supportive message when they need it most. 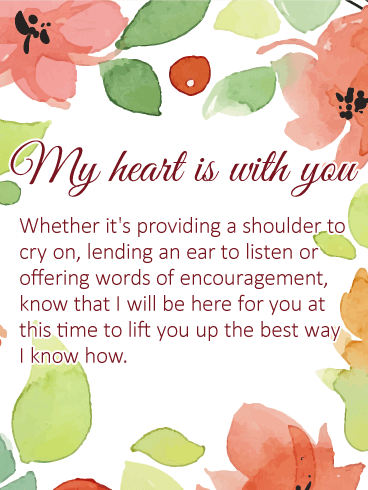 There's a sense of hope, knowing that you will be there for them in any way you can, whether it's listening or offering kind words and gestures of your own. 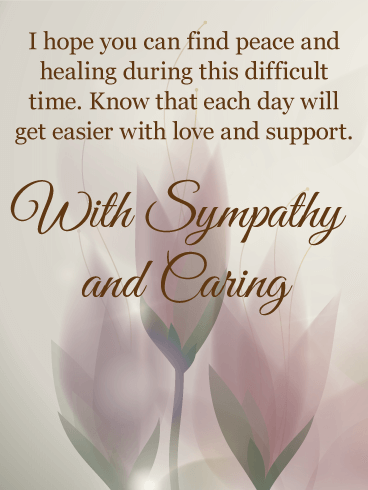 It's a comforting sentiment to put their mind at ease while helping to heal their heart. 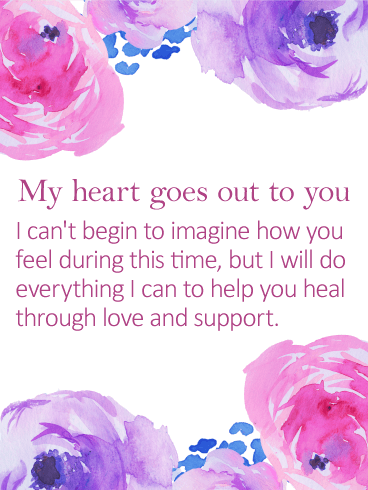 The loveliest pink and purple watercolor roses frame this heartfelt card, which offers your deepest sympathy and support even though you may not fully know what they are going through. Sometimes it's enough just to know that you are keeping them in your heart and providing comfort when they need it most. 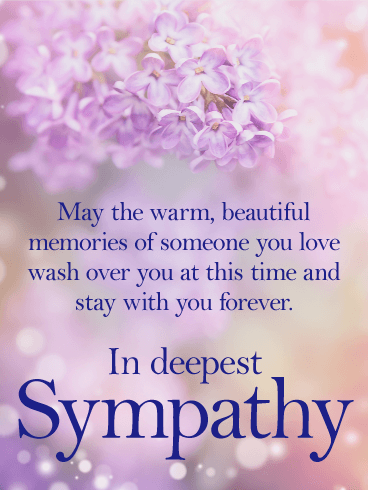 Soothing, star-shaped white flowers grace this beautiful sympathy card, which is meant to offer hope and encouragement to someone dealing with the loss of a loved one. May it bring them peace and encouragement, knowing that you are always there, with a kind word, a comforting gesture and a shoulder to cry on. 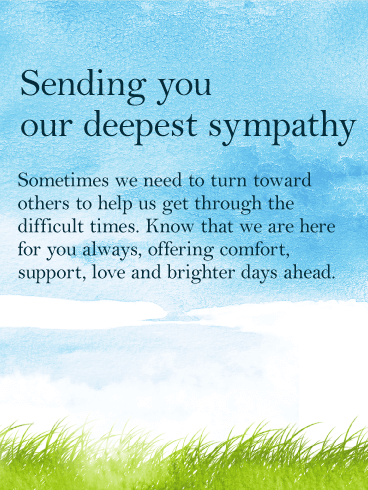 It's not always easy to express ourselves during times of loss, but this uplifting sympathy card helps us remind the people we care about that as long as they reflect on the special moments shared together and celebrate the life of someone they loved, each day will continue to get easier and brighter. 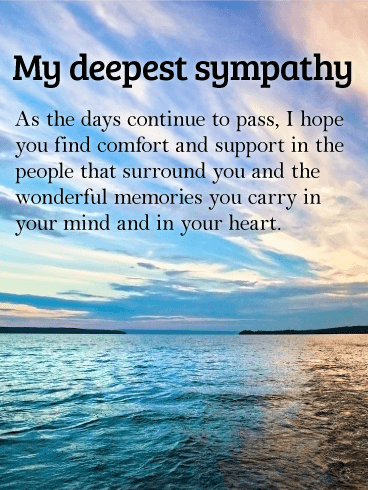 The sun-filled sky above and the deep blue ocean below provide a serene and beautiful background to comfort someone during a difficult time in their life. 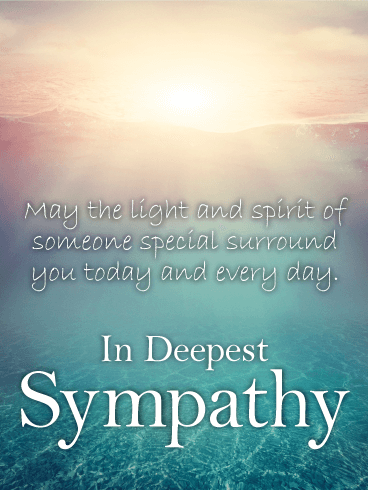 This touching sympathy card lets you convey a positive message, while bringing hope and light in the days ahead by reminding them that while gone, the spirit of someone special will always live on around them. 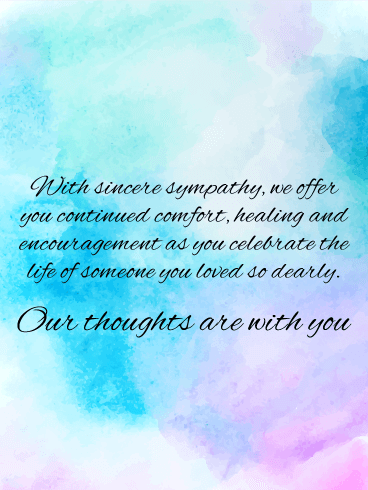 Express your heartfelt sympathy with this touching sympathy card, which brings a message of comfort and hope to someone who is mourning the loss of a loved one. 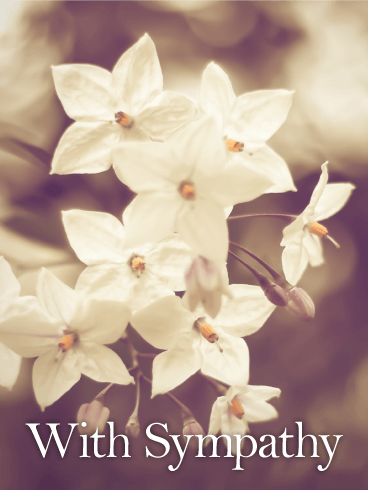 There's an uplifting spirit in each touching word, and a serene background with light gently streaming through. 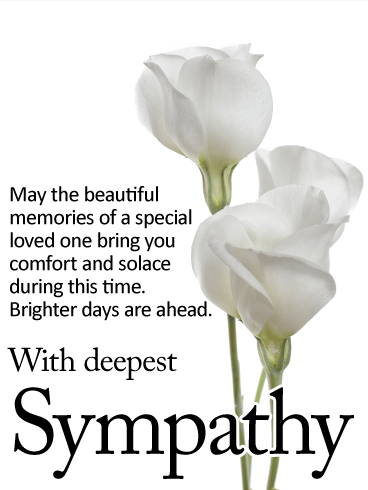 Let it remind them that you are thinking of them and hoping they can find peace as the days go by. There's a comfort in knowing there are good friends by your side during difficult times. 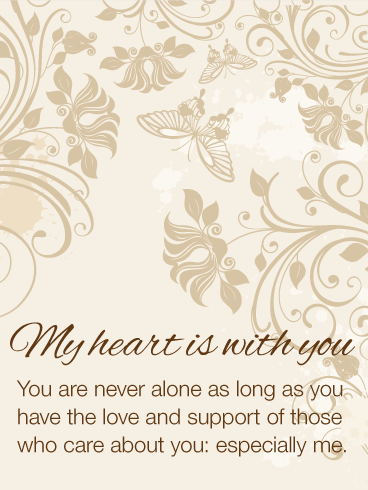 Remind someone that they will never be alone, and that when they need you most, you will be there, offering support, encouragement and kind words to get them through each day. 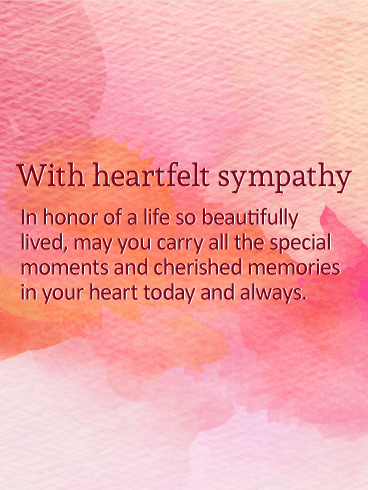 A delicate watercolor background sets a soothing tone for this heartfelt sympathy card. 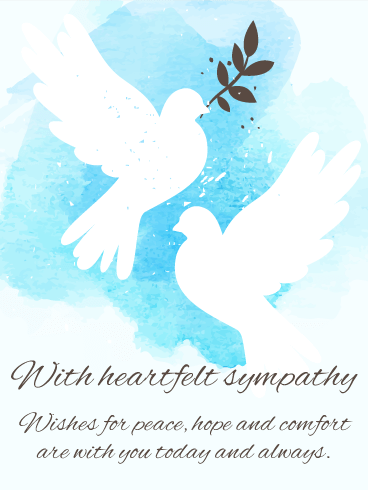 It's an opportunity for a group of people to offer their care and concern to someone special who is dealing with the loss of a loved one. Even though this is a sad time in their life, knowing you're standing behind them will provide comfort and support when they need it most. 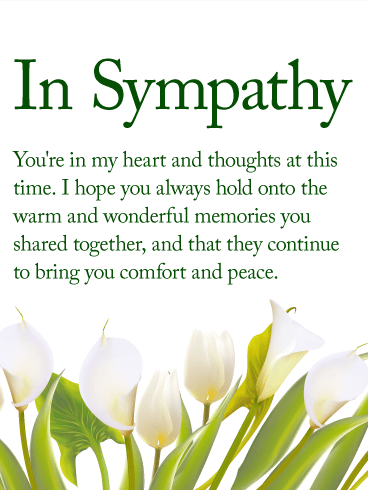 This uplifting card offers someone who is suffering a chance to pay tribute to a loved one they have lost. 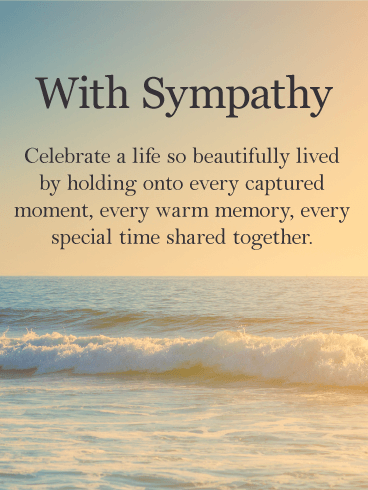 The words bring comfort and care, while helping to celebrate a life so beautifully lived through the memories and moments shared together. 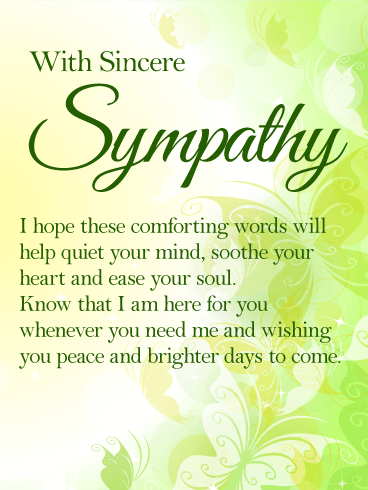 This comforting sympathy card can be sent from a group to provide solace for someone grieving the loss of a loved one. 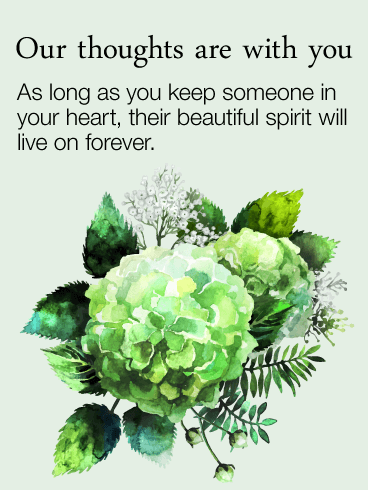 A blue sky background, with lush green grass below, sets a soothing tone, while the heartfelt words offer support and encouragement for brighter days ahead.